I saw someone’s status in Facebook a few days ago that mentioned “Bacalaitos”. And guess what? I got a craving so bad, I had to make some for myself. 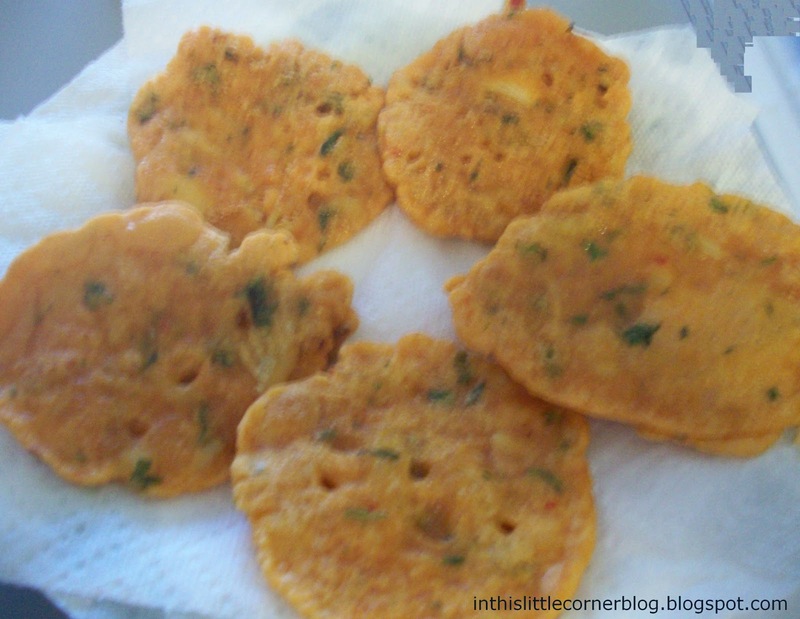 *Baking powder will allow your fritters to expand a bit and not be flat like a tortilla. So it is very important to add it to your mixture. In a sauce pan, place the codfish with enough water to cover it, and boil for 15 minutes. Rinse the codfish in cold water and remove the skin and bones. Meanwhile, in a bowl, mix flour, salt, baking powder, oregano, and the Sazón Goya. In a mortar or Magic Bullet, blend garlic, oregano and cilantro (recao) leaves. Add the water and the garlic/oregano/cilantro mixture to the flour mixture. You should get a consistency similar to that of pancakes, but more liquid with no lumps. Add more water if needed. Shred the codfish and add it to the mixture. Mix it all well. Let it rest for about 5 minutes while your oil is getting hot. Test your oil with a drop of the mixture. If it floats up, it is hot enough for frying your Bacalaitos! Fry them until they are golden brown and floating. Turn several times to get even frying and prevent burning them. Place in a plate lined with paper towels, blot any extra oil before serving and dig in! With this recipe, you will get approximately a dozen fritters depending on the size. If you make those huge Bacalaitos you see in Piñones, then you’ll only get from 4 to 6. Mmmmm! Enjoy!! !